The current job market is more turbulent than ever. According to the 2018 U.S. Salary Guide from recruitment agency Hays, 70% of employers claim to be facing a skills shortage. In a separate employers’ survey, it was also found that 92% of employers expect a rise in competition for talent. Which means that it is important that you have an efficient recruitment process. Improving your recruitment process is a two-sided affair. On one hand, you need to use the right channels so that your job alert reaches the right people. You must also eliminate redundant steps from the process to make it faster and more effective. You also need to adopt strategies for delivering a positive candidate experience. In a candidate-driven job market, this is of utmost importance. A negative candidate experience can tarnish your reputation as an employer, making it challenging for you to acquire talent. Unhappy candidates may also boycott your products/services and advise others to do so. If you want to learn more about improving your recruitment process, we’ve got you covered. Let’s take a look at eleven of the best ways to make your recruitment process better. A job description is the first form of communication you have with an applicant. It has to be inviting enough for them to want to apply. The age-old trick of copy-pasting a job description from other portals no longer suffices. You need to come up with a well-articulated description for every job opening. Clearly specify the required qualifications, skill sets, and experience. Elaborate on the requirements by mentioning exactly what kind of experience you are looking for. For example, “5 years of experience writing content for websites and blogs” offers more clarity than “5 years of writing experience”. You should also outline the duties and responsibilities that the position entails. Mention what the new hire will be expected to do on a typical workday. You may also want to specify the goals they will need to accomplish within the first three months of joining. This will help ensure that prospective candidates have a clear idea of what they are getting into even before they apply. 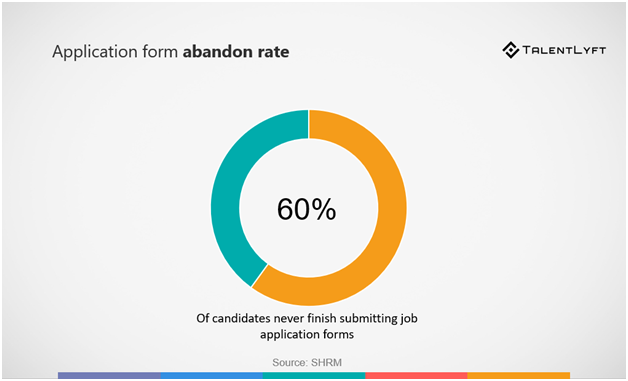 Studies have shown that 60% of job seekers abandon lengthy and complex online application processes mid-way. Top talent won’t want to spend long hours filling out lengthy application forms. This is also true for passive candidates who aren’t entirely sure about changing their jobs. Evaluate your application process and assess what information is absolutely necessary at the initial stage of recruiting. Ask only for those details that will enable you to shortlist candidates. Once shortlisted, you can always ask for more information from candidates. A clearly outlined recruitment process will help recruiters understand their responsibilities and duties clearly. However, it is equally important that candidates applying for the job are also made aware of these steps. Apart from the different stages, you should also specify the timeline involved. 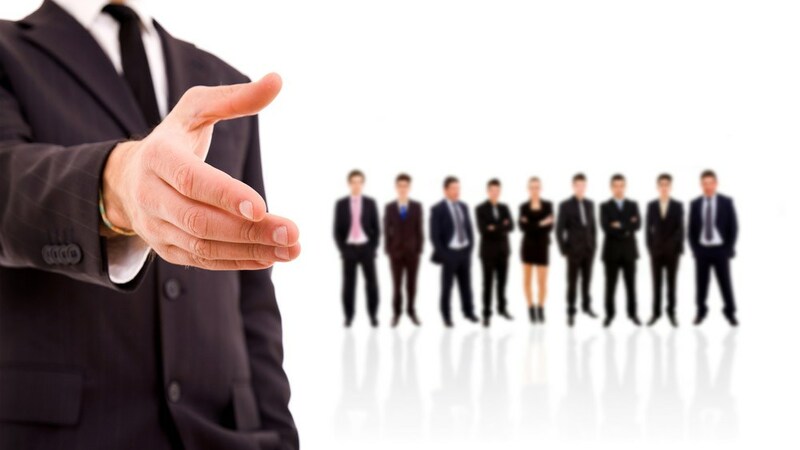 A transparent recruitment process makes the candidates feel valued by your company. They will also have a clear idea of what they are up for and how long the process might take. It eases their nervousness and self-doubt and encourages them to apply for the job. Take a look at Google’s How We Hire page to understand how to make the process of talent hiring transparent. It outlines the different stages and provided tips to help job seekers. The page also has a FAQs section that answers most questions applicants are likely to have. One look at this page and you will be encouraged to apply for their job opening. Let’s say you interview a candidate, and then assure them that they will hear from you by the next weekend. But then you do not get back to them until two weeks later. Chances are they will lose their interest in the job and start looking elsewhere. Therefore, you need to maintain constant communication with applicants at every step. If deadlines get pushed, and the final decision is delayed, send them an email or call them to explain the situation. It is always better than going off the grid and reappearing after weeks of no contact. Just as you expect the applicants to respect your time, they deserve the same from you. You vet the candidate during an interview to assess if they are suitable to work for your business. Similarly, the top layer of candidates judge your company during the interview to determine if the job is worth their skills. If you appear to be unprepared for the interview, your potential employees may lose their interest in the job. As ironic as it sounds, an interviewer needs to prepare for the interview too. Go through the candidates’ resumes before meeting them. Define a clear set of questions that you are going to ask. Be prepared to answer any questions about the company the interviewee might have. At this point, it is also important to test the practical skills of a candidate. Give them a small task to be completed on the spot. For example, when hiring a programmer, ask them to write a short piece of code. The results will indicate how they are likely to perform under strict deadlines and immense pressure. If you are following the above-mentioned tips, you have already progressed towards creating a positive candidate experience. However, you need to go the extra mile to ensure that candidates have a favorable perception of your company’s recruitment process. Let’s take a look at some of the best ways to do so. The best of your applicants might already be employed in a full-time job or freelancing assignments. In such cases, it might be difficult for them to appear for an interview right away. Be accommodating, and adjust the interview date or time to their schedule if needed. You can also consider a Skype interview for applicants who can’t appear in person. 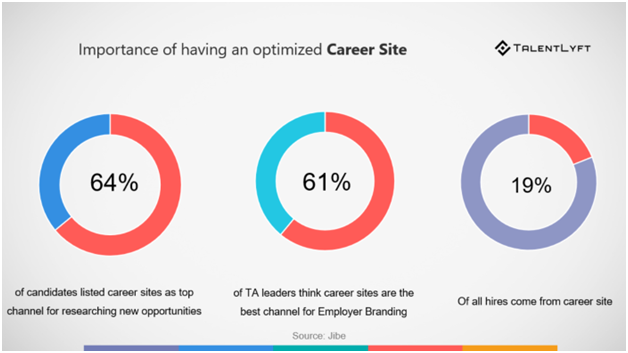 Your career site is probably the most visited recruiting tool you have. Therefore, you need to ensure that it is updated regularly and is easy to navigate. List all of your latest job openings and spell out the requirements very clearly. Have a separate FAQs section to address the most common questions/doubts applicants might have. Top candidates may not apply for the job right away. They will likely look at your company’s website and read what people have to say about you. Use your career site as a one-stop destination for all relevant information for applicants. You may also want to have a dedicated careers blog that provides useful information for applicants. There, you can publish articles from recruiters and hiring managers with tips and tricks of the trade. You can also encourage current employees to blog about their experiences (achievements and challenges). And you can also write blog posts revealing the work culture of your company. It can be excruciating for a job seeker to anticipate the results of an interview. What is even more painful is not receiving any response from the interviewer after waiting for days. A good practice is to send a personalized emails to rejected candidates. This gives them closure and allows them to move on with their job search. Given the volume of applications you receive, it may not be feasible to reply to everyone personally. You can create a customizable email template that can be used for mass emailing. Instead of a generic rejection letter, create different templates for different stages of the recruitment process. Make it sound positive by encouraging the candidate to apply again in the future. To ensure that you are providing a positive candidate experience, it is important to get feedback from candidates. Ask new hires what they liked and disliked about their recruiting experience. Approach rejected applicants and ask them to complete a survey and rate their experience. This will help you identify opportunities for improvement in your recruitment process. What do you do if an applicant isn’t the right fit for the current job opening in your company? They might be the right person for the next opening that comes up six months or a year later. Keeping this in mind, it is advisable to maintain contact with the best candidates from your candidate pool. Make sure they are subscribed to your job alerts so that they receive updates about new openings in your company. Every once in a while, you can also send a personalized note to the top candidates. Another way to utilize the existing candidate pool is to create an applicant referral program. Invite previous applicants to spread the word about a new opening in exchange for a reward. The reward can be anything as simple as a gift card. Of course this only works when the passive candidates aren’t themselves suited for the new opening. You can strive to create a positive candidate experience only after word is out about your newest job opening. Social media channels give you a brilliant opportunity to attract applicants towards your job openings. This is especially useful when the open position is well-suited for millennials. In addition to having a strong social presence, you should also optimise your career site for search engines. This will ensure that your page is visible to job seekers who are searching online for opportunities. A dedicated career blog can go a long way to improve the search engine rankings of your career site. There is another side to social recruiting which is being actively used by HR professionals these days. You can use tools such as LinkedIn to grow your professional network and scout for top talent. And you can also communicate with people on social networks and ask for reliable referrals. The recruitment process is complex, laborious, and time-consuming. However, there are certain stages that can be automated to increase speed and efficiency. It is important to find the right automation tools for your requirements. It is also crucial to establish a balance between the automated stages and the manual ones. For example, instead of sifting through thousands of applications, you can use automation software for the initial screening. This will have a huge impact on your response time. Likewise, you can use mass emailing software to send out customized rejection emails to many applicants at once. However, the final decision of recruiting or rejecting a candidate must be done manually. With the popularity of smartphones and tablets, it is only natural for people to be hooked to their devices. As a recruiter, you have to place your job ads strategically so that they attract the attention of prospective candidates. This is especially useful if you are looking to hire millennials for a particular role. If you have an online job application system, it must be optimized for smartphones. You should also ensure that your career site is mobile-friendly so that applicants can navigate it and apply easily. Your recruitment process doesn’t end with finding and hiring the right candidate. You need to look after your new recruits and ensure that they are settling in well at work. Once they resign from their current job, stay in touch with them throughout the notice period. This helps to identify any second thoughts they might be having. Before the new employee joins your company, brief their colleagues and seniors about their background. Get their contracts ready on time and give them a proper welcome. As they start working, give them everything they need to be productive at their job. Recruiting and retaining top talent is becoming a major challenge. In a candidate-driven job market, it is of the utmost importance that you ensure a positive candidate experience. Modern technology can help make the process simpler, faster, and more productive. Have you used other strategies to improve your recruitment process? Please share your thoughts and tips in the comments section below.